In June 1941 - during the first week of the Nazi invasion in the Soviet Union - the quiet cornfields and towns of Western Ukraine were awakened by the clanking of steel and thunder of explosions; this was the greatest tank battle of the Second World War. About 3,000 tanks from the Red Army Kiev Special Military District clashed with about 800 German tanks of Heeresgruppe South. Why did the numerically superior Soviets fail? Hundreds of heavy KV-1 and KV-2 tanks, the five-turret giant T-35 and famous T-34 failed to stop the Germans. Based on recently available archival sources, A. Isaev describes the battle from a new point of view: that in fact it's not the tanks, but armored units, which win or lose battles. The Germans during the Blitzkrieg era had superior T&OE for their tank forces. 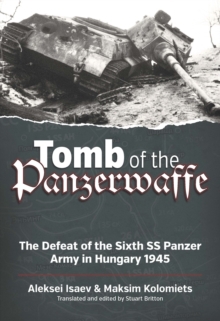 The German Panzer Division could defeat their opponents not by using tanks, but by using artillery, which included heavy artillery, motorized infantry and engineers. The Red Army's armored unit - the Mechanized Corps - had a lot of teething troubles, as all of them lacked accompanying infantry and artillery. In 1941 the Soviet Armored Forces had to learn the difficult science - and mostly `art' - of combined warfare. Isaev traces the role of these factors in a huge battle around the small Ukrainian town of Dubno. Popular myths about impregnable KV and T-34 tanks are laid to rest. In reality, the Germans in 1941 had the necessary tools to combat them. 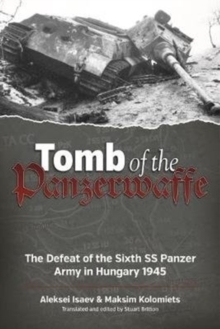 The author also defines the real achievements on the Soviet side: the Blitzkrieg in the Ukraine had been slowed down. For the Soviet Union, the military situation in June 1941 was much worse than it was for France and Britain during the Western Campaign in 1940. The Red Army wasn't ready to fight as a whole and the border district's armies lacked infantry units, as they were just arriving from the internal regions of the USSR. In this case, the Red Army tanks became the `Iron Shield' of the Soviet Union; they even operated as fire brigades. 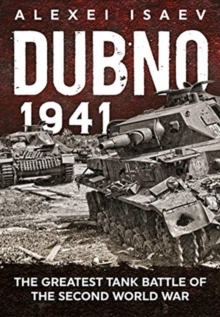 In many cases, the German infantry - not tanks - became the main enemy of Soviet armored units in the Dubno battle. Poorly organized, but fierce, tank-based counter-attacks slowed down the German infantry - and while the Soviet tanks lost the battle, they won the war.